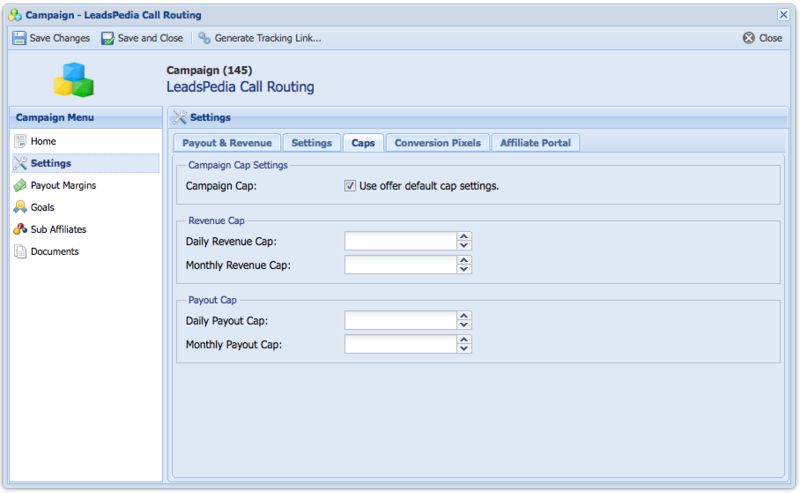 The offer default payouts can be overridden at the campaign level. Click on the Campaign Name to open the Campaign Window. 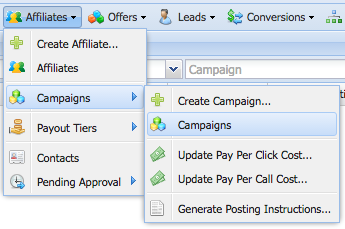 From the Left Menu within the Campaign Window, Go to Settings -> Caps. Make Sure you uncheck "Use offer default payout & revenue settings". Daily Revenue Cap: The maximum amount of revenue that can be generated from this campaign daily. Monthly Revenue Cap: The maximum amount of revenue that can be generated from this campaign monthly. Daily Payout Cap: The maximum amount of payout that will be paid to this campaign daily. Monthly Payout Cap: The maximum amount of payout that will be paid to this campaign monthly.